Expertly crafted from sterling silver and a unique blend of metals, this striking hanging charm conveys a poignant statement with sleek sophistication, leaving her in no doubt about your feelings. Available online and in selected stores.This item is a single charm only. Bracelets sold seperately. Styling images may show this charm on a bracelet as styling inspiration. PANDORA Rose I Love You Hanging Charm is rated 4.9 out of 5 by 20. Rated 4 out of 5 by Arby from Loved the charm, not the delivery. The charm was as described, a nice addition to her Pandora bracelet The untimely delivery (post Valentine) disappointing. Ad said “but by 12th for guaranteed Valentine delivery”. Bought on 10th, rec’d 6PM the 15th. Rated 5 out of 5 by CongJiaSheng from So beautiful My girlfriend said she and this charm is beautiful,sure it is.And she loves it! 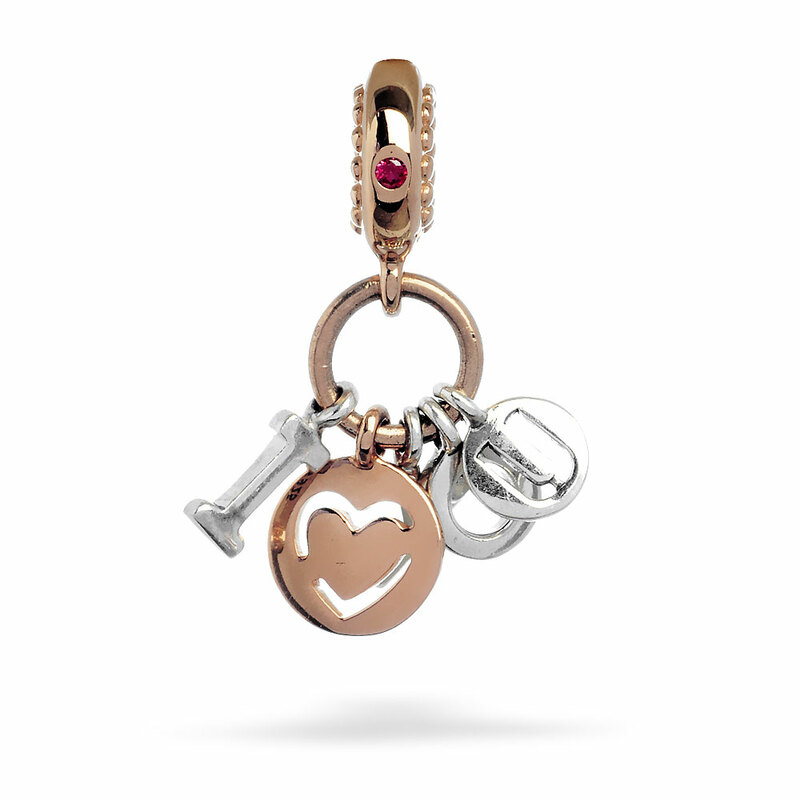 Rated 5 out of 5 by Anner from Really nice I love, love, love this charm. My husband gave to me for Valentines Day. Rated 5 out of 5 by Coco 21 from Beautiful charm The dangle go so perfect with my new bracelet. I'm glad I bought it. Rated 5 out of 5 by Lady gordon from Beautiful charm I love pandora, would like to see more purple charms, and watches. Rated 5 out of 5 by JANE DOEs from Great Girft This was the perfect gift for my mother, for her birthday! She really loved it! She called with tears of joy, to let us know how much she loved it! She gets a new charm from here every year!